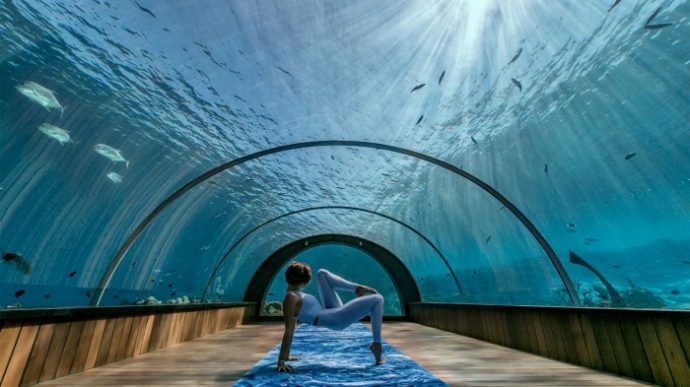 Hurawalhi Maldives has announced plans to host ‘At One with the Ocean’ retreats. 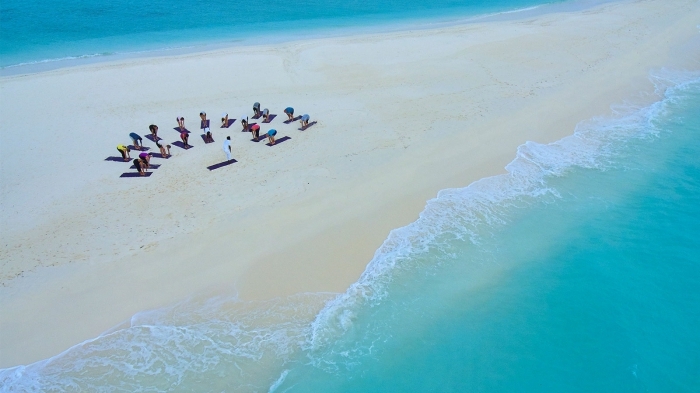 Each day of the retreat will offer guests a chance to transform their mind and soul with three sessions of Hurawalhi’s very best ocean healing practices: from morning beach yoga and meditation at 5.8 Undersea Restaurant to wave healing on the iconic Dream Island, aqua fitness and guided house reef snorkelling, the therapeutical potential of Hurawalhi’s infinite blues will undoubtedly teach you about calmness, self-awareness and appreciation of nature. In addition to this, the retreat facilitators promise an array of other unique experiences to further explore and deepen guests’ wellness journey, with the team of chefs already devising additional healthy dishes to be added to the Canneli restaurant fare during the retreat. Suitable also for solo travellers who crave quality ‘me time’ and an opportunity to meet new people, guests can experience what positive change the ocean can bring about at three retreats throughout the year: from June 17-20th, from August 14-17, and from October 27-30.